Anthony Cowin: Fireflies in the Storm. She smelled of sweet vanilla so I lent her a hand. Pram wheels crushing brown leaves and hand prints on the wall. But there were fireflies in the storm. Auttie was covered in flour and lost a lot of weight. We helped blow out the candles on her final birthday cake. And keep Auttie's love alive. Labels: Autumn, Baking, Cancer, Death, Family, Loss, Love, Poetry, Writing. 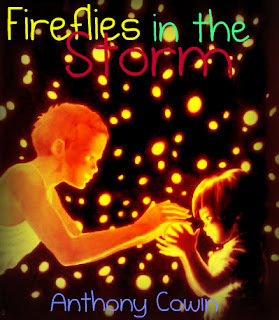 Are also fireflies" - wonderfully visual and emotive. Thanks Lily I really appreciate your comments and glad you gave me the confidence to think this was worth sharing. Beautiful, brought a tear to my eye! Thanks Laura, glad you liked it and that it also caught that emotion in you.